Anti-inflammatory medicines work in a number of ways. From relieving pain caused by physical activity to using an on-the-spot reliever for sudden inflammation, there are several health supplements available that will help you ease or provide temporary relief of your pain. From delivery method to supplement type, these options below can help ease pain, sooth aches or even help with joint function in both the immediate and distant future. Pain Relieving Rubs vs. Supplements: Immediate inflammation often calls for an immediate relief of the pain in the affected area. 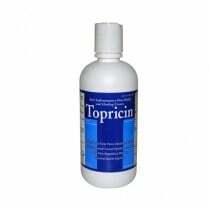 Topicals or rubs such as the Topricin Anti Inflammatory Pain Relief can relieve pain in just a few minutes. For chronic pain, a daily supplement like the Serra Phase Inflammation Response will help ease inflammation and help promote joint and muscle health over a period of time. Immediate and Chronic Pain Relief: Anti-inflammatory pain relief comes in many forms. Some are quick and need a quick solution. Other pains are long-lasting such as arthritic or chronic joint pain that needs a little more time to heal. 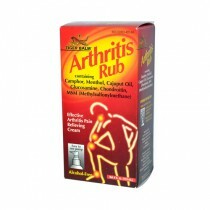 Arthritis, which occurs often but is chronic by nature, can be cured short term using a topical cream. You can also help your long term joint pain by using capsules as a daily supplement. Many of the daily supplement types contain botanicals to reduce the number of episodes on the joints. Sensitivity-based Treatments: Many supplements found today could contain an item that is sensitive to its users. Others, like Kyolic's Aged Garlic Extract Herbal Supplement do not contain any yeast, dairy, sodium gluten and many other allergy-based items but still contains all the necessary pain relievers needed to ease the joints. These are particularly helpful with patients who have an allergy reaction to gluten or several other current types. Other Types of Pain Relief: While arthritis is a chronic pain issue, other types of chronic pain also exist that could use a dose of pain relief every now and again. These pains include backaches, general stiffness, muscle strains and pains, carpal tunnel and more. Both Topricin and Tiger Balm are able to provide near-immediate pain relief for muscle cramps, sports injuries, repetitive motion injuries and more. The number of options available for easing inflamed areas is now more vast than ever. And with those options comes better and more in-depth choices based on a number of factors including allergies, type of pain, supplements, topicals and more.